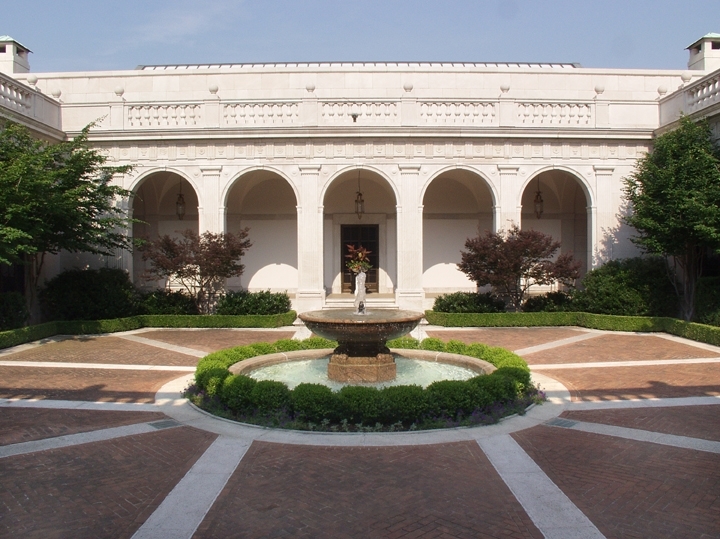 The Freer Gallery of Art was the first museum of the Smithsonian Institution to be dedicated to the fine arts. 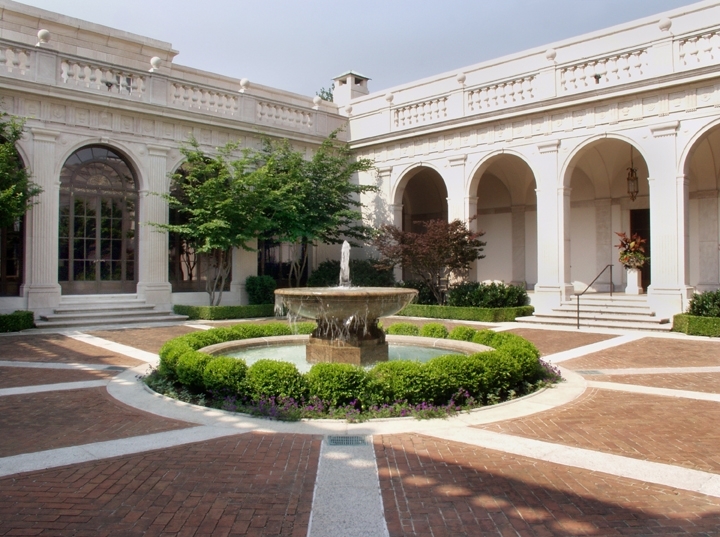 Besides Asian art, the Freer houses a collection of 19th- and early 20th-century American art, including the world’s largest number of works by American-born, British-based artist James McNeill Whistler (1834–1903). The Freer is committed to expanding public knowledge of the collections through exhibitions, research and publications. Charles Lang Freer (1854–1919), an industrialist and self-taught connoisseur, began purchasing American art in the 1880s. He limited his selections to the work of a few living artists and concentrated especially on American expatriate Whistler. Freer eventually formed the world’s most important collection of Whistler paintings, drawings, watercolors and prints. With Whistler’s encouragement, Freer also began to collect Asian art in 1887; and, by the time of his death, he had assembled a pre-eminent group of masterpieces that he purchased in Asia, as well as in Paris, London and New York. In 1904, Freer offered his art collection to the nation to be held in trust by the Smithsonian Institution. Its governing body, the Board of Regents, wished to maintain the Smithsonian’s scientific focus and hesitated to accept the gift. Only after President Theodore Roosevelt took a personal interest in the matter did the Regents finally accept the deed of gift in 1906. Freer then devoted his time to augmenting and refining his gift of art. Afflicted by debilitating illness, Freer died in 1919 without ever seeing the gallery. It opened to the public in 1923. 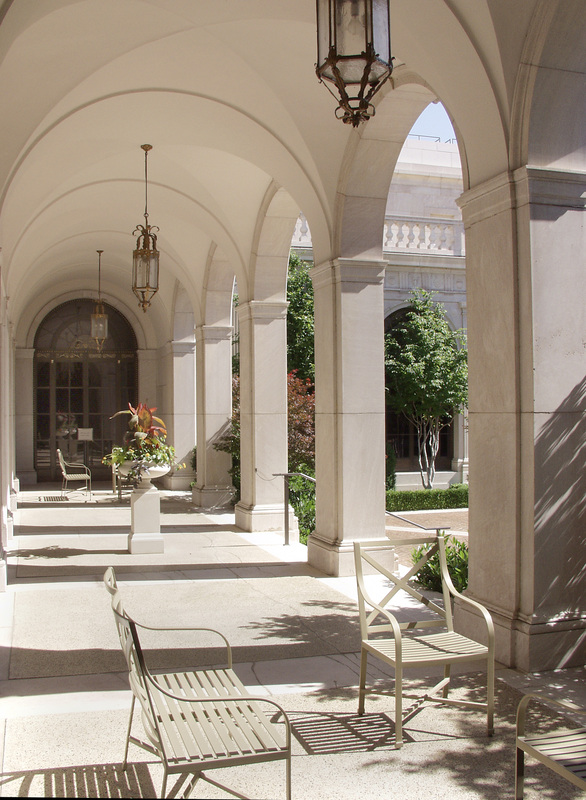 The collection of the Freer Gallery spans 6,000 years and many different cultures, reflecting the taste of its founder, Detroit businessman Charles Lang Freer. Freer believed in the universality of beauty, and he delighted in finding aesthetic affinities among the art of such divergent cultures as Neolithic China and 19th-century America. (1849–1921), John Singer Sargent (1856–1925) and others to be complete, and so there have been no additions to the American works since Freer’s death. Only a small percentage of the gallery holdings are on view at any given time, and selections of light-sensitive paintings and objects are rotated regularly. The single permanent exhibition is “Harmony in Blue and Gold, The Peacock Room,” an opulent interior made by Whistler for a London townhouse between 1876 and 1877 and brought to the United States by Freer. The Freer and Sackler Galleries house the largest Asian art research library in the United States. Open to the public five days a week (except federal holidays) without appointment, the library collection consists of more than 80,000 volumes, including nearly 2,000 rare books. Half the volumes are written and cataloged in Asian languages. The archives is a manuscript and photograph repository dedicated to furthering the study of Asian and Middle Eastern art and culture, as well as turn-of-the-century American art. 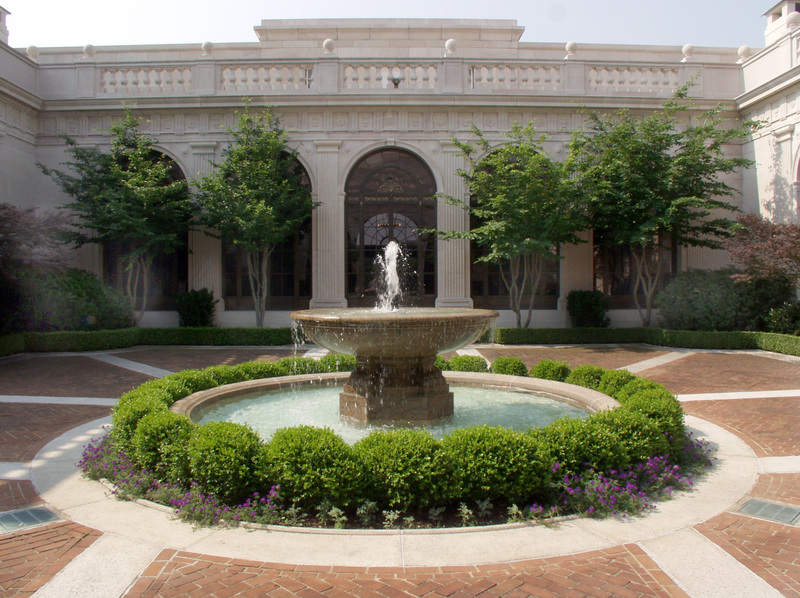 The archives collect, preserve and make available documentary materials that support the holdings and research activities of the Freer and Sackler Galleries. The archives house more than 140 collections—amounting to more than 1,000 linear feet of materials—dating from the early 19th century to the present; it is open, by appointment, Tuesdays, Wednesdays and Thursdays, 10 a.m.–5 p.m. Appointments may be scheduled by calling (202) 633-0533. As part of the museums educational mandate, the Freer|Sackler presents a full schedule of public events, including films, lectures, symposia, concerts, book readings and discussions. Public tours are offered daily except Wednesdays and federal holidays and are subject to docent availability. Many of the programs are enhanced through activity guides, program notes, brochures and other publications. There are special activities for children and families and workshops to help teachers incorporate Asian art and culture into their curriculum. 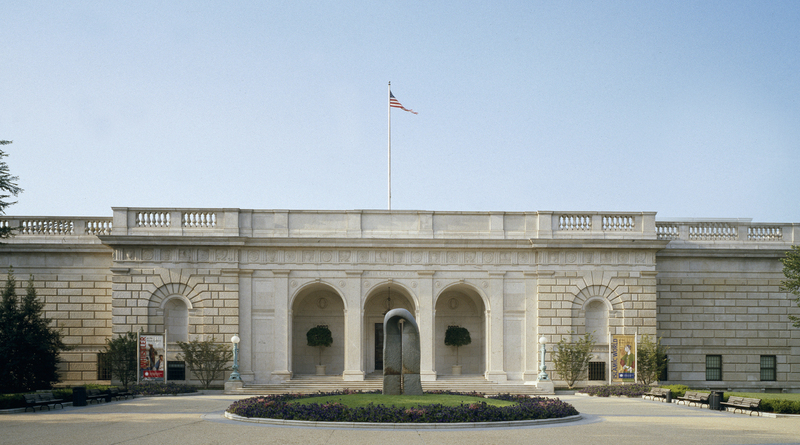 The Freer Gallery of Art, located at 12th Street and Independence Avenue S.W., is on the National Mall in Washington, D.C. Hours are 10 a.m. to 5:30 p.m. every day, except Dec. 25, and admission is free. The gallery is located near the Smithsonian Metrorail station on the Blue and Orange lines. 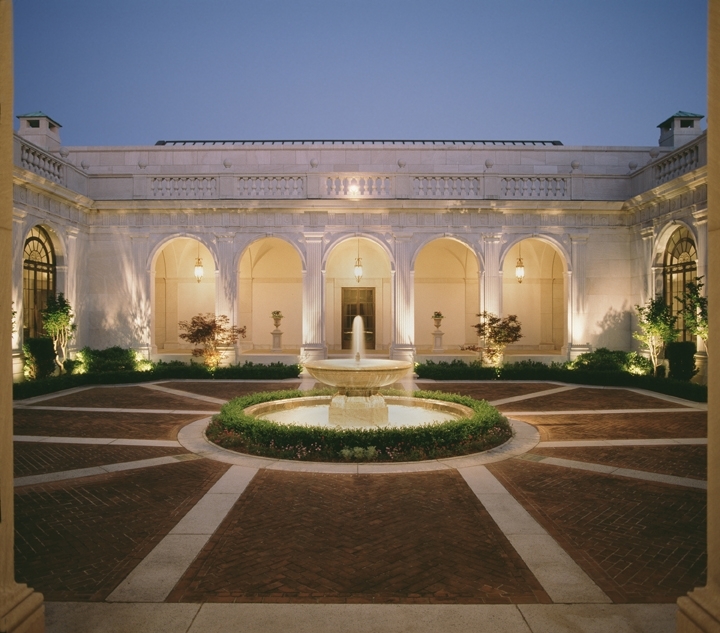 For more information about the Freer and its exhibitions, programs and other events, the public is welcome to visit www.freersackler.si.edu. For general Smithsonian information, the public may call (202) 633-1000. 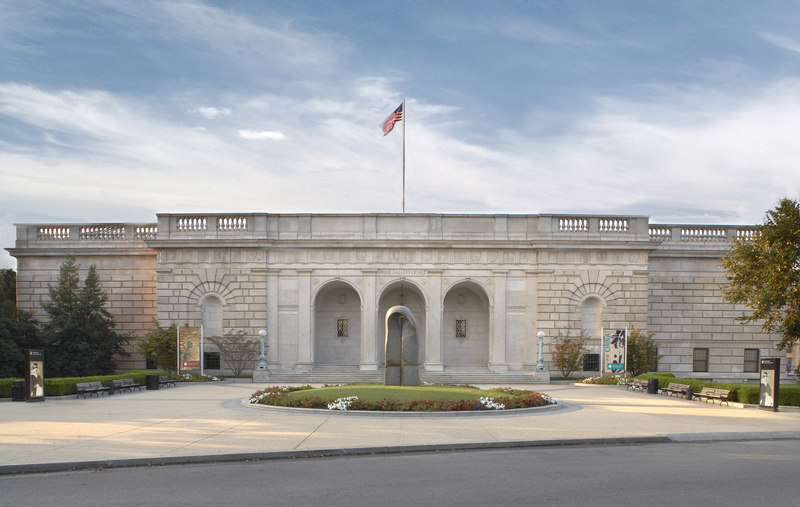 North entrance of the Smithsonian's Freer Gallery of Art, along Jefferson Dr. S.W. in Washington, D.C.
Smithsonian's Freer Gallery of Art in Washington, D.C.
Courtyard of the Smithsonian's Freer Gallery of Art in Washington, D.C.
An evening view of the courtyard at the Smithsonian's Freer Gallery of Art in Washington, D.C.